Presidential candidate John Kasich already committed the cardinal sin of eating pizza with a fork and knife, and apparently he cannot catch a break when it comes to New York City’s Italian food, as a visit to the Bronx today makes abundantly clear. 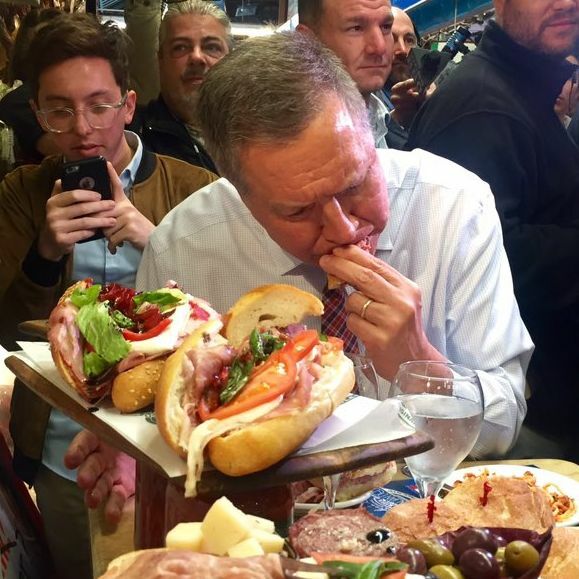 While there, Kasich dropped by Mike’s Deli on Arthur Avenue and very awkwardly ate a massive meal that included a special sandwich, two plates of spaghetti with bolognese, and pasta e fagioli. Needless to say, it was not very presidential.